For sports fans, there is simply nothing better than spending hours every day talking about your favourite team, players or discussing the latest setback they have faced. Competitive gaming inspires a similar level of passion among its fans too and here at Master Mazuma we cannot help but get caught up in conversations about the biggest and best games in eSports. “Biggest” is such a vague, loose term that it can apply to all sorts of situations, with Dota 2’s multimillion dollar prize money meaning it has a pretty strong claim to be at the top of the eSports tree. However, EA Sports’ FIFA series is not only the longest-running soccer video game franchise in history, but also the best-selling sport video game franchise of all time. And, with the FIFA Interactive World Cup, it can also lay claim to inspiring the largest eSports tournament of all time too. 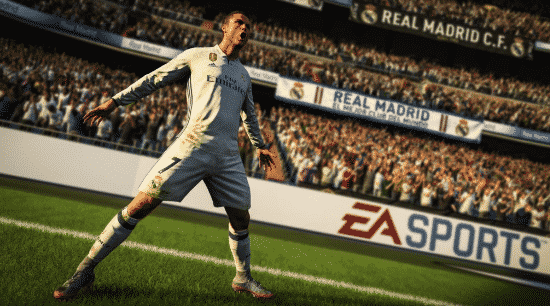 In this guide, we are going to take a look at the key facts you need to know about this incredible competition, as well as provide some top tips on how you should begin to plan your FIFA Interactive World Cup betting strategy. The FIFA Interactive World Cup’s roots reach all the way back to 2004, when the first tournament was held in Switzerland. Since then though, the competition has got bigger and better, with more than two million people registering to take part in the 2016 tournament alone. Players were able to participate in the latest competition by owning a PlayStation 4 or an Xbox One with a copy of FIFA 17 and using them to register on the FIFA Ultimate Team (FUT) Champions mode. Those who then successfully moved up the monthly leaderboards of the game were then given a chance to take part. Before getting started on FIFA Interactive World Cup betting, it is important to have a proper understanding of how the tournament tends to work. Using the 2017 competition as an example, qualification was open for three online seasons held between November 2016 and April 2017. The best players would then get a spot at one of several live qualification events, with the best 32 players – 16 for Xbox One and 16 for PlayStation 4 – from those competitions then gaining a place at the FIFA Interactive World Cup Grand Final. The format of the competition tends to feature an initial group stage, with the top players then qualifying for quarterfinals and semifinals. The best two competitors then take each other on in the final for a chance to win $200,000 of prize money and a trip to the next FIFA Best Awards. So now you know how the tournament works, what are the key issues you should bear in mind when getting involved in FIFA Interactive World Cup betting? Getting to know the best players is probably a strong place to start. In terms of FIFA 17, French player Chevry “RocKy” Corentin is currently the highest-earning player in the eSport, having secured more than $170,000 in winnings from playing the game. This undoubtedly makes him one to watch, alongside the British players Shaun “xShellzz” Springette and Spencer “HugeGorilla” Ealing. German player Timo “TimoX” Siep has also enjoyed plenty of success on both FIFA 16 and 17, while outside of Europe the Brazilian competitor Rafael Salles Leite Fortes – better known as Rafifa13 – has also proven himself to be very capable. 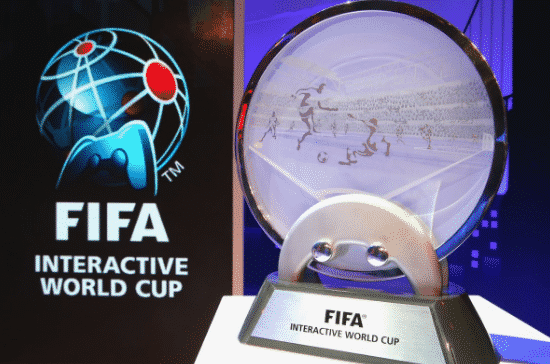 It is well worth spending some time watching these players in action as the FIFA Interactive World Cup approaches, whether that is by attending events in person or watching on livestreams online. This will give you the chance to learn more about their style of gameplay, strengths and weaknesses, which will of course prove to be vital information when comparing them to other competitors. Do they perform best against certain types of players? Or do they have a weakness that another player is likely to exploit? There are plenty of performance statistics online and these should also help you to develop a full picture of a competitor’s key attributes. While it may not necessarily mean you are guaranteed to win, it should at least help you make an informed decision based on more than just a hunch. Bear in mind though that as well as watching the very best players, you should also keep tabs on new talents who are emerging on the scene. With FIFA evolving and changing all of the time, it is not uncommon for a unknowns to spring surprises and cause upsets in big competitions. When it comes to FIFA Interactive World Cup betting, it is worth remembering that those dark horses may well have longer odds, so taking a chance and betting on an outsider could lead to a big win. Like any eSport, the FIFA Interactive World Cup generates plenty of headlines, so make sure you are keeping tabs on the latest news as the tournament approaches. Reading articles and interviews with players may give you an insight into their current state of mind and whether they are totally committed to an upcoming competition. As with any sport, issues behind the scenes can impact on an eSports player’s performance, so watch out for any rumours or speculation which could affect their ability to perform when matchday comes around. FIFA is one of the most popular games series of all time, so here at Master Mazuma we think it only makes sense it has gone on to spawn arguably the biggest eSports tournament in the world. The FIFA Interactive World Cup is a truly global event and there is nothing better than marvelling at the very best players taking each other on to win a share of an impressive prize pool. Whether you are new to eSports betting or a seasoned pro looking for a new competition to follow, this one truly has it all. For more information on FIFA Interactive World Cup betting, head across to our specialist pages where you can find the very latest odds related to all of the top players. Don’t forget that Master Mazuma allows you to deposit using Bitcoin as well as more traditional methods, so whatever your choice, we’ve got you covered.